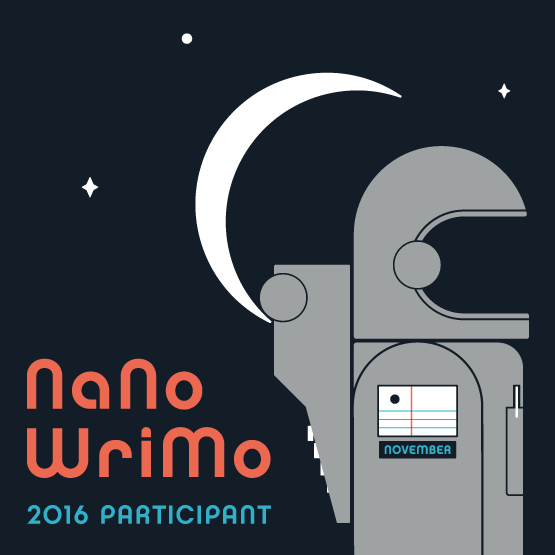 November is getting closer, which means NaNoWriMo is almost here. Yes. I am going for the 50k in 30 days, again. Do I think I can do it? Yes. And no. Depends on when you're asking and depends on, I don't know, the wind, perhaps. Yes, I know I can reach the 50k. I've done it for the past eight consecutive years. Going for number nine. Last year was one of my dull years. I crossed the finish line but what I had was a mess and probably won't be going anywhere and I haven't opened that file since November 30, 2015. It was only the second year I'd written all those words and have no intention of ever looking at them again. It was kind of like cleaning out the garage and the attic - a good thing to do but not something to revisit any time soon. This year I hope to write something I like and feel good about. Do I have a plan? Maybe. So, yes, I guess, I have a maybe plan. An idea that I think I will go with. But here's the deal: even the dull years where I'm pouring words onto the page and hitting goals and cleaning up head/hand/heart space, I'm writing. For me, that's what NaNo is about: writing. If I get something "good" - yippee! A bonus. I do hope this one goes better. And by better, I mean that there is a cohesive and complete story. It will need editing because I am a pantser. Yes, I am. I may try to have a minimalistic outline - if I go with the maybe plan - because I have a lot of information about this story already. No, I'm not telling. Not yet. NaNo is coming and I am excited. I have my writing retreat booked and tonight I even ordered up a few food supplies for that retreat. I have my schedule planned to include some writing around work and theatre. And some other slots besides the retreat tagged as writing time where I won't let myself add more work. Because, NaNoWriMo. My plan to get up to daily writing speed hasn't happened. Not yet. It might still be a good idea to get there. Or get to almost every day writing. I'll try. Because, NaNo. Now I must get to bed because - no, not NaNo - my weekly writing meetup is in the morning and I need some sleep.